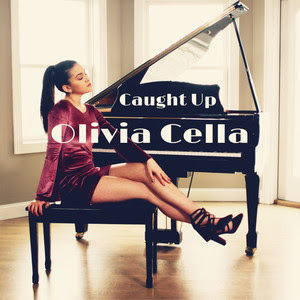 New Jersey-based singer and songwriter Olivia Cella has just unveiled her brand new single Caught Up, an infectious pop track about falling in love and how it can take a hold on you and you end up not being able to stop thinking about that special someone. I am really enjoying how rich and soulful her vocals are and how mature she sounds here. Caught Up is quite a beautiful piece of soulful-pop music packed with an emotive piano-based melody on which Olivia pours her heart out. The song was written with her current boyfriend in mind, who not only grew up in her neighborhood but attends the same school with Olivia since first grade. On Caught Up, Olivia showcases both her songwriting and vocal abilities and if you're into soulful-pop music with powerful vocals, then you'll love this song. Check it out below!